This tile is 4" square and designed to be installed on the diagonal. 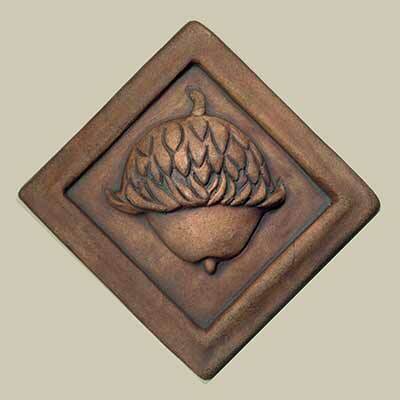 The acorn and border are raised. 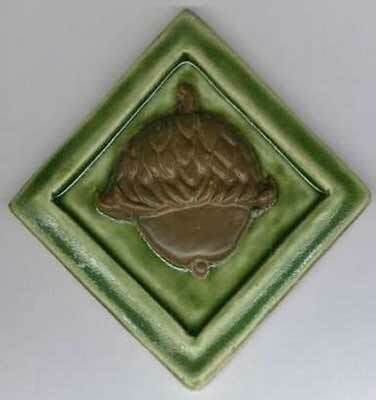 Choose any one or two-color combination for this tile. Colors shown: hunter green background with sienna acorn; sepia stain overall.